Viral video of this year’s Russian face-slapping competition, seems to show that the Russkies have taken the phrase “that is a slap in the face” seriously. 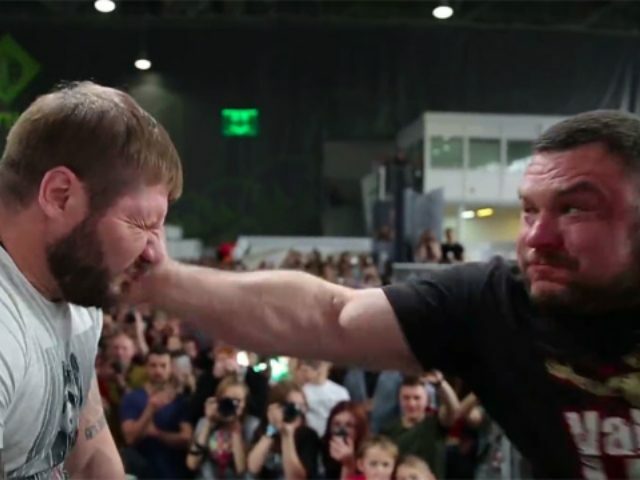 The 2019 “Male Slapping Championships” shows bearded brute Vasiliy Kamotskiy taking a few well-placed slaps and delivering crushing replies to win 30,000 rubles. The purse may sound great, but it is about $460 in U.S. money. The slaps Kamotskiy delivers are so powerful that nearly every opponent is sent reeling, some even collapse to the floor. It appears that Kamotskiy’s opponents likely suffered concussions. The brutal video raises the question as to if there are Female Slapping Championships?